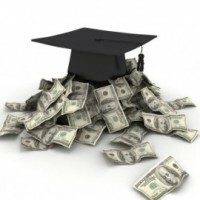 On the surface, the problem sounds very simple – measuring the return on investment for a college education, at least in economic terms, is a relatively straightforward calculation. But the desired outcomes of a Kenyon education include preparation for career success. They also include lifelong engagement as an educated citizen; a life enriched by appreciation and knowledge of the arts, humanities, social and natural sciences; and the ability to creatively apply the skills learned at Kenyon to solve problems, to produce new and original work, and to lead in a variety of walks of life. These are not measured by salary alone.